The United Methodiest Women try to stay abreast on the needs of women in depressed areas locally and around the world. The Marlboro County areas was one of interest for the South Carolina Conference of United Methodist Women in 1978. Surveys showed that the people living in and around the community of Wallace, South Carolina would benefit greatly by the establishment of a mission center there. Mrs. Pat Foil, who was Conference Coordinator of Christian Global Concerns at the time, was asked to write a grant proposal for the South Carolina Conference requesting funds from the Women in Rural Development Fund, a program of the Women's Division of the General Board of Global Ministries. She was successful and a grant for $3,860 (seed money) was funded for the Center to support family life education beginning in September 1979. The program was designed to be attentive to nutrition, planned parenthood, alcoholism, child rearing, career planning, conservation and available resources for depressed areas. Mrs. Foil was very instrumental in getting the Wallace Family Life Center established. With the advice of then District Superintendent, Rev. William Kinnett, she contacted Rev. Debra Quilling, a community pastor at the the time. They began making plans with the assistance of Chris Rogers-Berry, a day care center teacher, and Frieda Norris, a church community worker. They endured a great many struggles and hard work. Ann Bowman, a Native American and member of Pleasant Hills United Methodist Church, had long been concerned about the plight of the people in her area and was also a member of teh organizational and planning team. She and her husband Cecile donated land for a building site, but it was later discovered to be chemically contaminated and deemed unsuitable. Suitable land for the building was eventually donated by Canal Development Corporation of Conway, South Carolina. Danny Shelley, a Methodist and architect from Sumter, listened to the women's dreams and goals and donated his time and talents to draw the architectural plans for the Wallace Family Life Center. Charles Jordan and Jim Wood, both United Methodist men from Conway, South Carolina, built the new Center. They were President and Vice-President of Chancel Construction Company. Not only did they use their own men to build the Center labor free of charge, but they also donated $10,000 each toward the building and pleaded with others in the building industry to drop prices or donate free construction supplies. The Wallace Family Life Center as we know it today was consecrated by Bishop Roy Clark on Sunday, June 5, 1988. Prior to the building of the present Wallace Family Life Center, the participants of the program met in the Presbyterian Camp, a cinder block storage house on the Bowman's property. They later used Aaron's Temple and Ebeneezer United Methodist Churches as meeting places too. Over the Center itself has been ran by an excellent group of executive directors. Ann Bowman volunteered her services as the first director until the first full-time paid executive director, Carole Bowman (no relation to Ann) was hired in 1982. Pleasant Hill United Methodist Church provided their parsonage for her rent free as a residence. There was about $2,000 in Center's checking account at that time. Rev. Grace Lovell served as Director from 1985-1990. Upon her resignation, the Board recruited Mr. Clifton Harrington to serve as Interim Executive Director. He remained in this position until completion of his undergraduate degree in 1995. Mr. O'Randall Jackson then became executive director serving until 2007. Mrs. Maxzine Johnson, then program coordinator, was appointed executive director upon his departure and served until December of that same year. Current executive director of the Wallace Family Life Center is Ms. Corina Esaw, a former middle school media aid and community librariran. 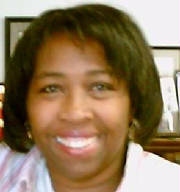 Ms. Esaw is very much dedicated to the work and mission of the Wallace Family Life Center. Corina Esaw is our Executive Director. She loves the outdoors, working with children and serving the community. The After School Program (ASP) offers tutorial assistance with homework and after school care for up to 25 children from kindergarten to fifth grade. A devotion, snack and recreational activity is provided Monday thru Friday beginning at 2:30 PM. The Center provides opportunities for parents, grandparents and high school dropouts to attend class in order to qualify to take the GED test. Adult Ed meets on Wednesdays from 9 AM to Noon. Students are served a light lunch. The Clemson Extension Service conducts a homemakers' class monthly on the fourth Thursday from 10 AM to Noon. The class covers many subjects such as Hospice care, Power of Attorney, Homemaking skills, Health & Nutrition and Self-esteem. A light snack is provided. Interested women and men meet every Tuesday from 10 AM to Noon to engage in various arts and craftss projects ranging from sewing to painting. Many of the completed arts and crafts are put on display throughout the Center. A light snack is served. Each summer the Center conducts a Reading Program for over 25 children in grades K to sixth. From 8 AM to 3 PM Monday thru Friday, certified teachers and volunteers work with students by grade level to improve reading and math skills. The children also enjoy recreational activities like music, educational field trips, Book Mobile visits, devotion, etc. Breakfast and lunch are served. Also, during the summer there is a five day Vacation Bible School operated in conjunction with one or more local churches in the community. The children always enjoy this week of Bible lessons, songs, crafts, fellowship and fun. They learn many things about the Christian faith. A light snack is provided.